How to ship my car to Florida – USA Today. Numerous car transportation companies can arrange delivery of your car to Florida. Usually the transportation companies are acting as dispatchers for a network of independent truck drivers. You book through the transportation company and pay a deposit, which the transportation company keeps. The independent truck driver keeps the balance, which is paid in cash or cashier’s check upon delivery. The drivers will meet you at your residence or other address to pick up the car, and will meet you for delivery at your residence or desired drop-off address in Florida. 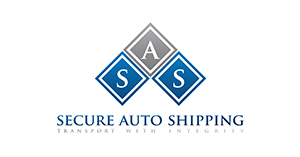 Search the Internet for car shipping companies. Use Google, Bing or another search engine and enter the keywords “automobile transport.” You’ll have multiple listings to choose from. Navigate to some of the websites. Jot down the names of some of the companies that interest you. Then use Internet research tools to learn about a company’s reputation. Enter the company name in search engines as you look for online discussions, news articles or other information that might shed light on the company’s performance and reputation. Select a pickup date for your car to be shipped and make note of your preferred date of arrival in Florida. Start contacting shipping companies by phone. Get information on pricing, available pickup dates and estimated arrival in Florida. Talk to the company about the process and ask for references, such as previous customers. Contact the references to ask about their experience with the company. Also ask about protection against theft or damage. Choose a company and make arrangements to pay a deposit. Sign the necessary paperwork and return it by fax. Remove personal items from your car, and await arrival for pickup. Make arrangements to meet the truck in Florida, or authorize someone else to take delivery. link to original article “How to ship my car to Florida” on USA Today. click here for the best source for reviews in the Auto Transport Industry!